If you’re working on building up strength for the full vasisthasana or ‘side plank’, this is a great place to start. It’s not unusual in a Yoga class to be faced with one or two postures we’re not completely comfortable with. This is a good thing, as it means there’s always room to grow within this practice, and being able to take on a challenge strengthens our mind as well as our body – but sometimes it can also mean we need to modify or change a posture in some way so it suits wherever we’re at right now. The most effective way to maintain a sustainable and healing Yoga practice is by meeting ourselves exactly wherever we are and however we are, and moving forwards from there. Whether you’re working on strength, flexibility, or finding peace of mind, start by recognising how you are right now, and let your practice grow from there. There are plenty of reasons to choose the modification over the full posture in class; maybe you’re healing from an injury, you’re low on energy, or you’re just beginning this whole Yoga thing. Maybe vasisthasana isn’t a posture you regularly practice, or maybe today you just don’t want to practice the full posture! 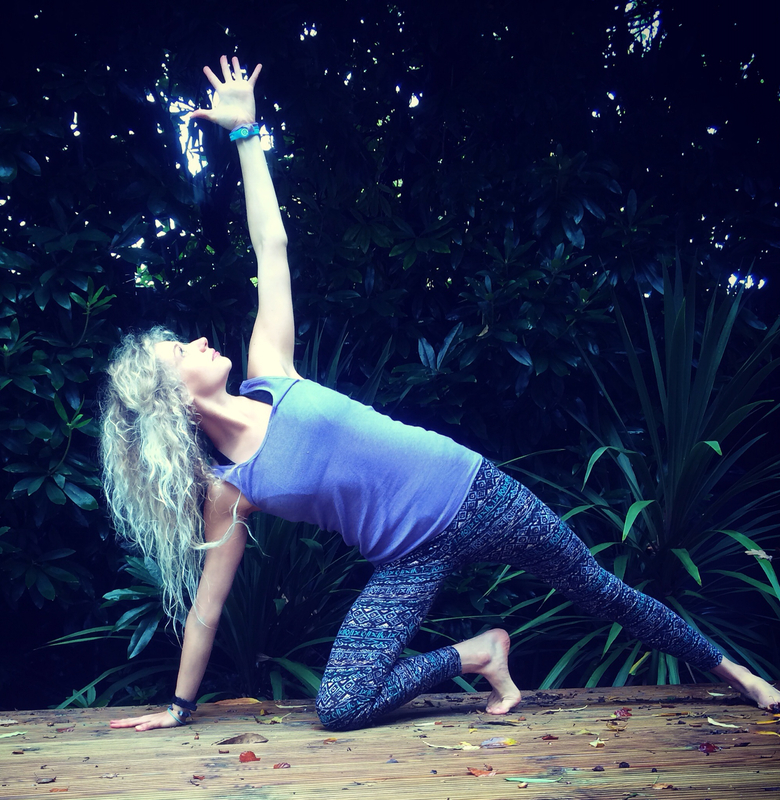 So, if you’re faced with vasisthasana in class and still need to build up the strength to hold this asana for a few breaths, start with this variation and build up from there…. When you’ve got this down, move on to the full side plank posture, which is great preparation for lots of fun arm balances! Move through your surya namaskar A to get the blood pumping. After 3-5 rounds, make your way into adho mukha svanasana (downward facing dog), and step your [right] foot forwards as you rise up in to virabhadrasana 2 (warrior 2) to open the hips a little. From virabhadrasana 2, straighten your front leg and move in to trikonasana (triangle pose) and focus on reaching from the center of the chest through to the fingertips, keeping your chest expanded and spine lengthened. Stay here for 3-5 breaths, and then bend your front leg to return to virabhadrasana 2. Bring your hands down to the floor and step back to adho mukha svanasana to repeat on the other side of the body, and then make your way on to hands and knees. From all fours, lengthen your [right] leg back behind you and bring the sole of the foot to the floor so the outer edge is parallel with the back of your mat. Work on pressing the outer edge of the foot down firmly, and keeping the toes spread so you have firm foundations to work with. Keep your [left] knee and [left] hand on the floor, and inhale as you raise your [right] arm up. Be aware of how your bottom hand is grounded into the floor. For the full vasisthasana, it’s very important for the health of the wrists to make sure you’re pressing through the underside of your knuckles and your fingers, rather than leaning too much in to the heel of the hand. It’s often advised to keep the wrist and shoulder completely stacked in one line, but it’s actually a little healthier for the joint to keep the shoulder slightly back from the wrist, so you’re able to press the weight further forwards into the knuckles and fingers. Work on using the breath to expand through the belly and chest, as you reach strongly out of the top fingertips. Stay here for 5-10 breaths, or however long feels good to you. To transition out, bring the [right] knee and hand back down to the floor, and come back on to all-fours. To counterpose this variation of vasisthasana, rest the sitting bones back to the heels in balasana (child’s pose) and take a few breaths. Whether you’re new to the physical aspect of yoga, or you’ve been practicing for years, it’s always good to know how to modify and play with the traiditional asanas in order to find more creativity and potential in our practice!